Find out below about all the goodies of the PLUS account. As you noticed, making floor plans is a lot of fun!Now you finished your first floor plan, you can't wait to start planning a whole lot more. That's why we invented our Plus account. To plus users we give 5 projects, each year. That's 5 times the fun and usefulness of a Basic account! When these 5 projects a year are not enough, you can always buy extra plans.The good thing, for Plus users they cost € 2.50 only! So you are all done and finished with planning out your dream house. Cool!Now things can become even cooler. With the Plus account you can make twenty 3D renders per year. 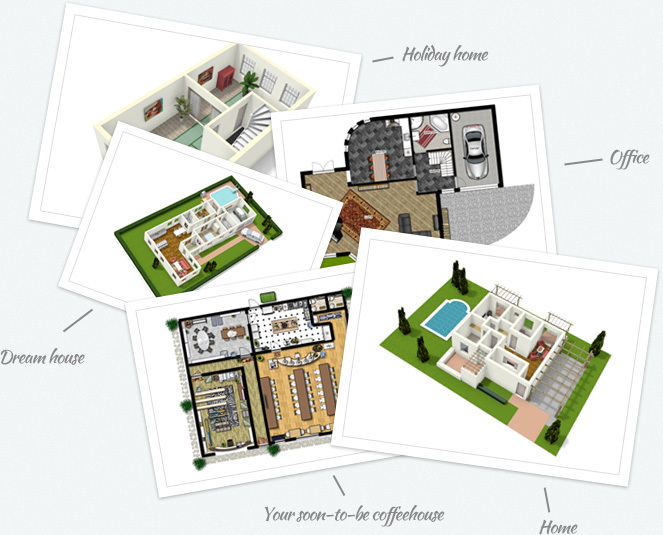 These visuals are looking so good, no imagination is needed anymore to grasp the feel of your floor plan! How does 3D rendering work? 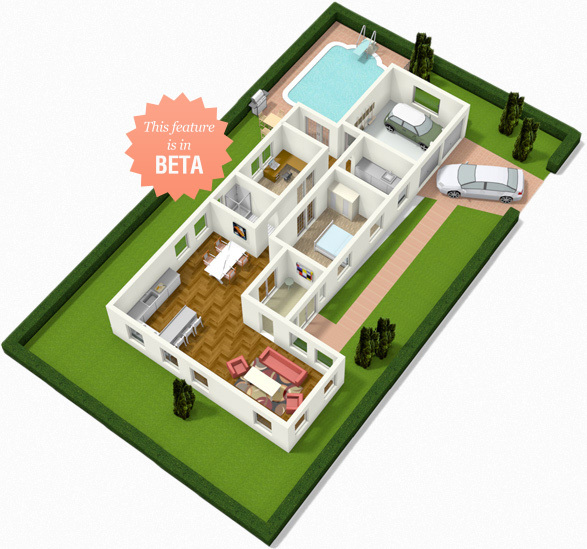 In the floor plan editor you can choose different ways to export your floor plan. The 3Drender is one of them. For every render you can choose from what angle the plan should be rendered. When the render is finished, we send it to you by email. Delivery time depends on the size your plan. Does this sound good? Upgrade to Plus! When you are in a building, renovation or decoration project, a floor plan to scale is a must.Therefore you can export all your floor plans to scale. They will be saved as a PDF, so it will be optimal for print. 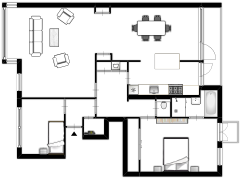 This floor plan to scale is a perfect medium to discuss your spatial ideas and wishes with contractors and interior designers. 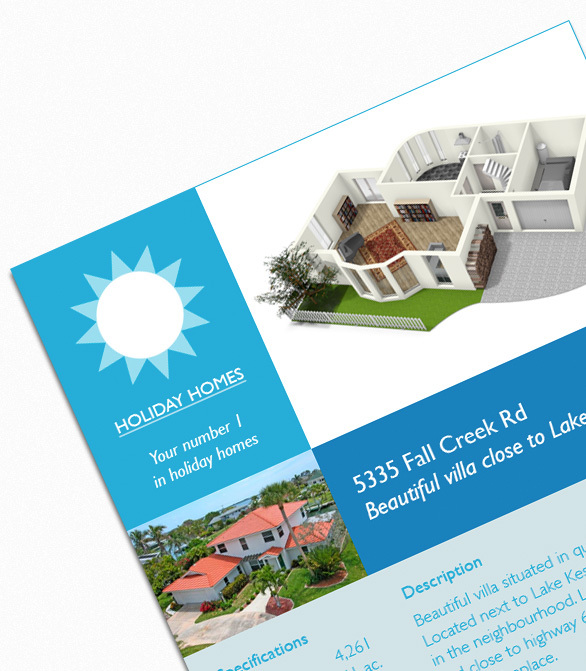 There might come a day you need to promote your space.Whether this is because you are selling your house or renting out your home holiday, a printed floor plan will help. With your Plus account you can! 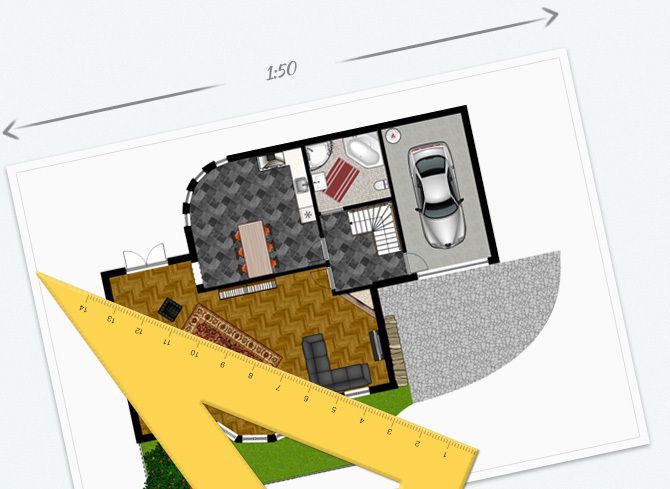 The image export comes in all kinds of formats, so we make sure it will fit your needs.You can export your floor plans in PDF, JPG, PNG and SVG.